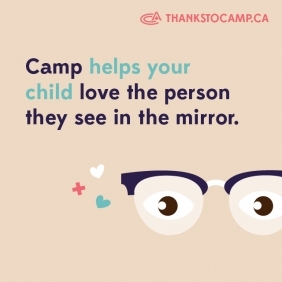 It's easy to stay in touch with your camper while he or she is at camp with us this summer. Send letters and packages via Canada Post or Courier Service. The expected delivery is 3-7 business days from within Ontario. In addition, please note that mail/courier delivery does not come directly to camp and we are required to pick it up in town. Therefore, given our short camp week sessions, please send mail/packages well ahead of time to ensure your camper receives it while they are at camp. Note: Special packages (ie. birthday presents) can be dropped off with staff at check in day to ensure they are given to campers on a specific day. Large packages can also be sent via courier (Purolator ONLY). Packages are required to be addressed to our local Purolator depot (see below) and then we are contacted by the depot to pick up the package. Therefore, to ensure we receive packages on time, you can contact the office while your camper is at camp to help track your shipment and ensure he/her receive it on time. To send an email to your camper, please click on the link below. Click here to access Bunk 1 email and photo service. Don't remember which bunk your camper is in? Click here. Due to the potential volume of calls and disruption to camp, phone calls to/from campers are not permitted. In the event of an emergency, please contact the office to make arrangements through the Camp Director. In addition, cell phones are not permitted at camp. If they are brought to camp they will be taken from the camper, securely stored and returned at the end of the camper’s stay. Our Parent Communication Director is the direct link between campers and their parents during camp. For all new campers (first time at HOC), within the first 48 hours (ideally) of your camper arriving, parents will receive an email with a status update.